You might be aware of a widespread software vulnerability named Heartbleed, which has affected a large number of servers on the internet. We want to let you know that VCGI’s website (vcgi.vermont.gov), web map services (maps.vcgi.org), and mapping sites (maps.vermont.gov/vcgi/vtmapviewer) are not vulnerable to the Heartbleed bug. We have come to this conclusion by reaching out to our vendors to determine if any of their software products are vulnerable to the Heartbleed bug. 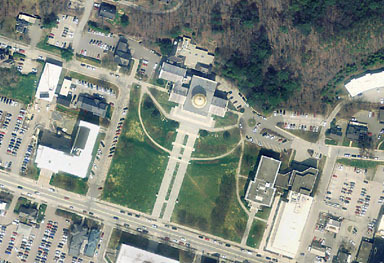 The VT Center for Geographic Information (VCGI) currently hosts Vermont’s Open GeoData Portal (herein referred to as the GeoData Portal), which allows users to access and use geospatial information and services. 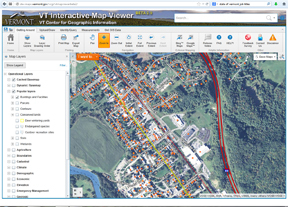 This Request for Information (RFI) is designed to gather information from geospatial technology providers regarding the development of a new VT Open GeoData Portal. The results of the RFI may or may not lead to the release of a Request for Proposals (RFP). NOTE: All questions related to this RFI should be emailed to steves@vcgi.org by April 28, 2014: 3PM EST. All questions and associated responses will be made publicly available by May 5, 2014: 3PM EST on VCGI’s website. VT and NH both have powerful, newly updated online map viewers. While each viewer is customized to the state’s GIS resources, they share a common framework and much of the same functionality. Come for a tour of the new interface(s), layers and tools for both viewers. Participants in this webinar will learn how to make maps from the layers provided by VCGI and NH GRANIT, add your own data to the maps, save your map as an image or to print, and more. You are currently browsing the VCGI's Blog blog archives for April, 2014.